Gene Bahr was born in Wellington, Alabama on May 30, 1950. Growing up in the rural countryside, he spent his childhood exploring the hills and creeks around him and developing what has become a lifelong love of nature and wildlife. He was fortunate to have a grandfather who was artistically inclined and remembers, as far back as the impressionable age of six, spending evenings at a kitchen table cluttered with art supplies where he would spend hours teaching Gene how to draw and color with pastels. His encouragement and kind approval instilled in Gene a love of art and a lasting confidence in his abilities. After graduating from high school in 1968, Gene spent four years in the Navy traveling over most of the northern hemisphere. Upon leaving the Navy, he moved north and is presently living in a log house on a mountainside in the beautiful lakes region of Sebago, Maine. 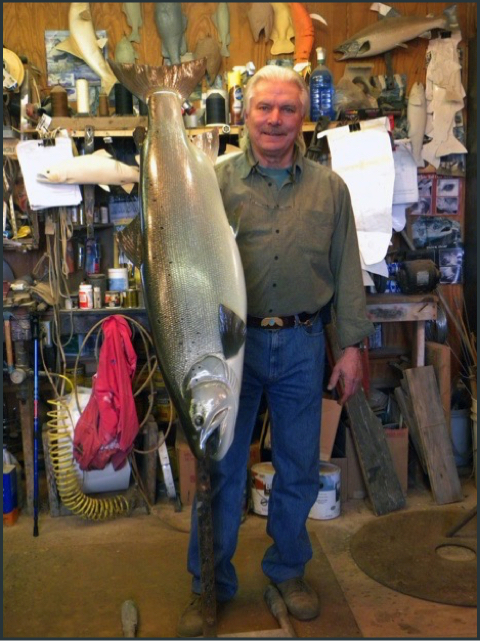 Gene began his career in 1976, as a fish taxidermist. 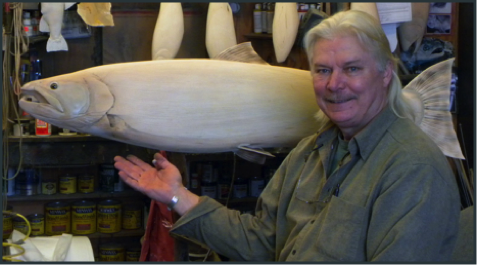 He began fish carving in 1984 and is considered a master fish carver among his peers. Inspired by this relatively new art form, he has watched its' popularity quickly growing among everyone from sportsmen to art connoisseurs. 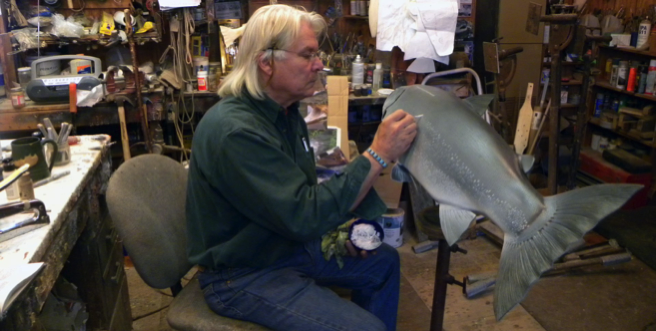 He eventually stopped his fish taxidermy practice in 2000 to focus more on "Catch and Release" fish carving. He has spent his life studying fish anatomy and color, building an extensive collection of profiles, measurements and photographs of the hundreds of fish that have passed through his studio. This archive allows him to produce beautiful, accurate and long lasting reproductions that increase in value. Over the years Gene has devoted his creative efforts to portraying wildlife, and particularly fish, in beautiful and creative ways that make environmental statements and inspire people to think about clean water, the "Catch and Release" program, endangered species and above all to appreciate the beauty of nature. He has gained a deep understanding of the details of anatomy and color schemes in his work as a taxidermist as well as his many years as an avid hunter and fisherman. Art has brought him to see color, form, balance and composition with an artist's eye. The perspectives of naturalist, artist and taxidermist blend together into each of his "Wildlife Creations." 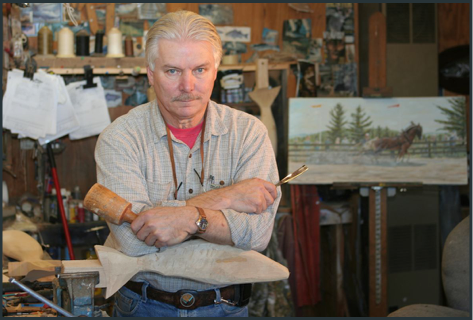 While continuing a successful career in taxidermy he has expanded into wildlife artistry and now creates with watercolors, oils, ceramic, fiberglass, wood and bronze. In 1991 Gene opened a gallery next to his shop where a variety of his pieces are on display for viewing or purchase. While carving is his passion and what he intends to focus on primarily during the years to come, the gallery displays the full gamut of his artistry.